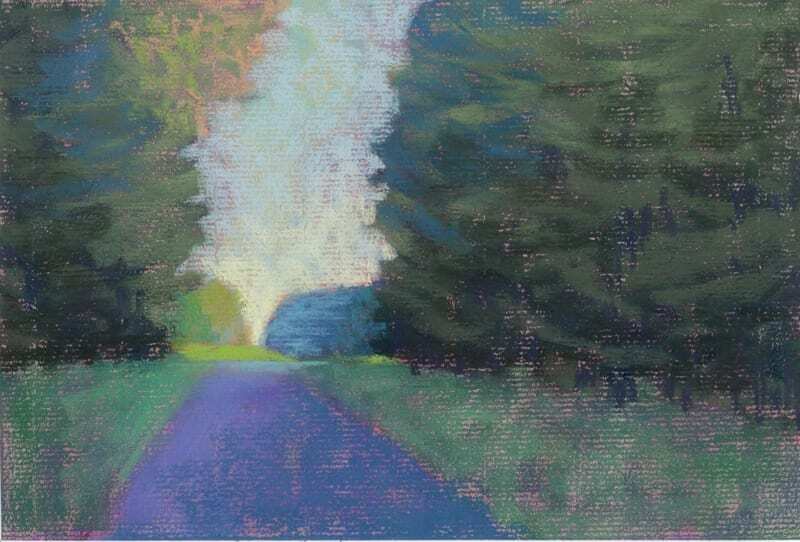 This is a small pastel painting, 6×9″ of a path or road through the Manistee National Forest. 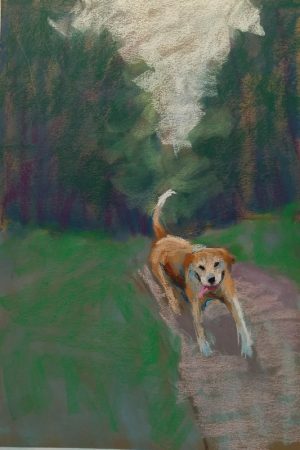 Cracking the Landscape, 6×9″ pastel on paper. © Marie Marfia. This is my view as I turn the corner from the dirt road with the mailbox at the end and make my way to where my car is parked, under that stand of trees on the left. The sky always looks like it’s pointing straight down and the trees are lit up just past the little dirt pile that the road commission put up to keep people and their big trucks from cutting the corner.